This isn’t the first time that protesters at Pepperdine have demanded the removal of Catholic-American figures from their campus. In 2015, students successfully petitioned the removal of a mural depicting Father Junipero Serra -- who was recently canonized for his outstanding works of spiritual and physical charity with American Indians. According to The College Fix, university president Andrew Benton has announced that the statue will be relocated to the school’s campus in Florence, Italy. The statue was originally donated to the university by representatives of the Columbus 500 Congress in celebration of the 500th anniversary of the discovery of the Americas by Columbus and his crew, an event which sparked celebrations throughout Latin America. In an effort to combat widespread anti-Catholic sentiment during the turn of the last century, many Catholic and Italian-American organizations – such as the Knights of Columbus – pushed for the construction of monuments commemorating his achievements, as well as the establishment of a national holiday in his honor. In the words of the statue’s donors, the presence of the statue was “meant to honor the good attributes of Columbus’ life.” And indeed there are many. The reality is that without Columbus’ discovery of the New World, there likely would not be a Pepperdine University. Indeed, all of the amenities which modern students enjoy, such as an abundance of food, education, healthcare, transportation, etc. might not even exist in the Americas. 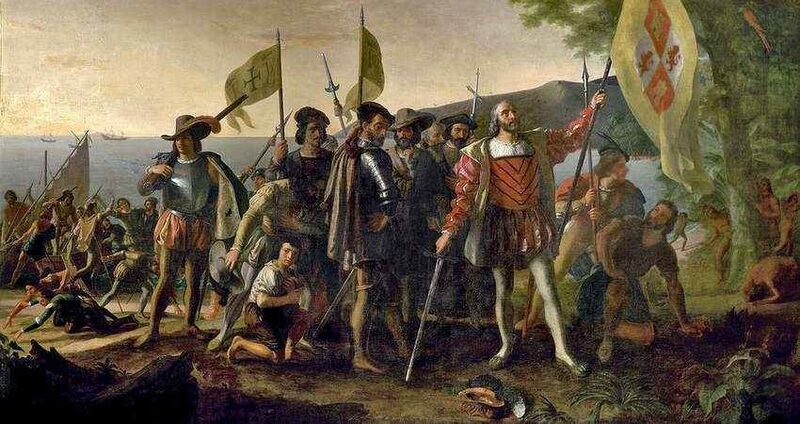 Ultimately, this attack on Christopher Columbus – in spite of his marvelous feats of discovering and bringing civilization to the Americas – is nothing more than an attempt by the left to rewrite history in the image of postmodern "tolerance." This attack on Christian culture is part of a larger neopagan movement that seeks to erase the benefic role of the Catholic Church and Christian Civilization from history. St. Junipero Serra, pray for us! All the North American Martyrs, pray for us! Confronting Religious Persecution in America: Neither Apostasy nor Dhimmitude!